When we think of 3D printing, we often think of producing one-offs, such as prototypes, or low volume production at best. But there are certain application areas where you can use this technology for mass production. Two main benefits stand out from the crowd – mass customization and complex geometry. Mass customization means that each printed part is unique, e.g. a custom fit, and that the demand and thus margins make it viable to 3D print the part. The other, complex geometry, could either be a case of aesthetics, as in the IKEA case below, or a case of reducing assembly or making the part more efficient, or reducing weight. 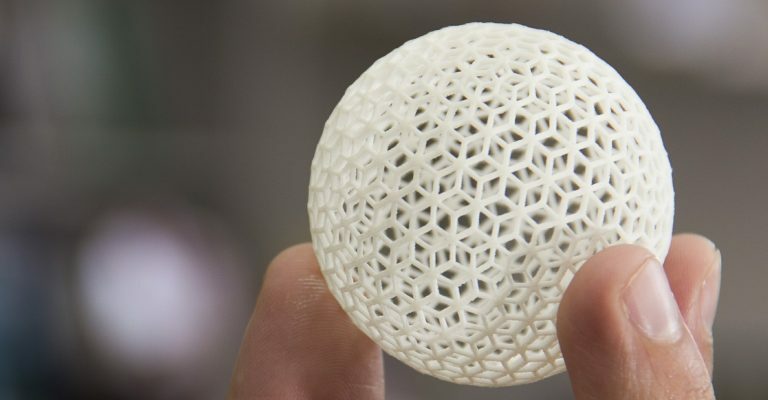 Read about our five examples of mass production using 3D printing below. 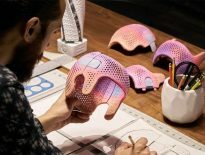 As mentioned above, Adidas is utilizing 3D printing mass production in a rather unique way. 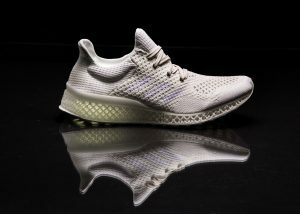 Back in 2017, the company revealed its collaboration with Carbon to produce midsoles for their new sneaker, the Futurecraft 4D. fit to each customer, 3D printing these midsoles unlocks design freedom and enhance shoe performance. There’s also the added benefit of shorter production design cycles. To this day, Adidas have 3D printed over 200,000 mid-soles, with millions of units in the scope. A pair of sneakers cost up to 300 dollars. The Swedish furniture giant IKEA have been using 3D printing for many years now, with an impressive line-up of 3D printers at their Älmhult headquarters. But the focus has been on prototyping only. That is, until they teamed up with Swedish stylist and creative Bea Åkerlund. 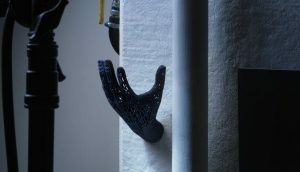 Together with Åkerlund, IKEA has 3D printed a wall hanger in the shape of a mesh hand. The hanger is part of the collection OMEDELBAR. Choosing 3D printing was the only alternative, due to Åkerlund’s complex design. The hand-shaped hangers are produced with SLS technology, or Selective Laser Sintering, although IKEA also have access to HP’s MJF technology. Production is outsourced to a service bureau. No volumes have been disclosed, but knowing IKEA’s global reach, it should be in the tens of thousands. For the past year, every new Airbus A350 XWB has included 3D printed metal components. The company now uses 3D printed brackets to help secure the connection between the plane’s wings and its engines. 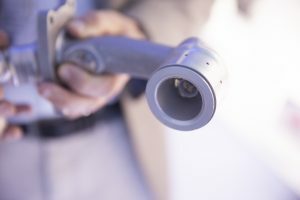 The decision was made in large part due to the superior quality attainable using 3D printing, but there were economic factors at play as well. 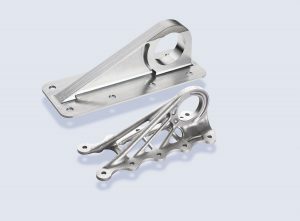 Airbus anticipates that the decision to print every bracket it puts into the air will give it more control over its supply chain by consolidating the production process for these parts. It also found that at medium volumes, metal AM is more cost-effective than traditional options. The brackets are relatively intricate, so there was a significant amount of waste associated with machining them in the past. 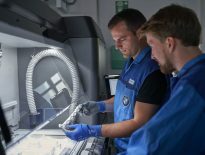 Finally, Airbus found that 3D printing these parts cuts lead times drastically, a valuable factor to weigh in an industry in which demand can be somewhat unpredictable. GE Aviation’s new LEAP jet engine is the gold standard in modern air propulsion. The company has taken orders on a staggering $210 billion worth of the engines, and their popularity is thanks in large part to metal AM. Using 3D printing to produce the fuel nozzles combined 20 small parts that traditionally would’ve required welding into a single component. The 3D printed version weighed 25% less than its conventionally made counterpart and was more than five times as durable. Today, the nozzles are used in every single one of the thousands of LEAP engines on aircraft worldwide. No longer required to pay dearly for the combination of volume and complexity required of the nozzles, GE Aviation has prospered in the years since the breakthrough. Well over 90 percent of all hearing aids today are 3D printed. Some experts say this shift from manual production to digital only took a little more than a year. Whatever the truth, it is a silent revolution that few people realize. Before the advent of 3D printing, manufacturing hearing aids consisted of approximately nine different steps. As each earpiece is unique and needs to be custom fit, this was a resource-intensive production that often involved real craftsmanship. And the production of a pair of hearing aids could take a week or more. 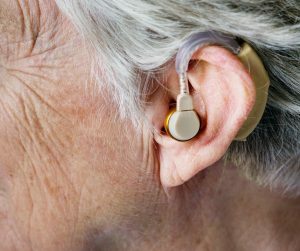 Migrating to a digital workflow, the production of hearing aids now consists of three steps – scanning, modelling and 3D printing. An audiologist can now remotely scan a patient’s ears resulting in high resolution 3D images. These images are sent to a service bureau specialized in 3D printing these devices. After modelling and finding the right geometry, the 3D models are printed. The most common technology used is SLA, or stereolithography. It is a 3D printing technology that can produce highly detailed parts. The global market value for hearing aids is approximately two billion dollars. The annual production price increase is about 8 percent. But the ROI using a digital workflow is tricky. Yes, labor and personnel costs can be drastically reduced with a more automated and efficient workflow. But capital investments and operational expenditure, such as software licenses and material costs, take a toll on margins. While not a clear-cut case in terms of economy, the digitization of the hearing aid industry has created a mean lean production machine. Previous Post: How do voxels add more detail to 3D printing?